Unity’s Vision Summit 2016, while male-dominated, featured women as well, including, from far left, keynote speakers Unity’s Timoni West and Dioselin Gonzalez. 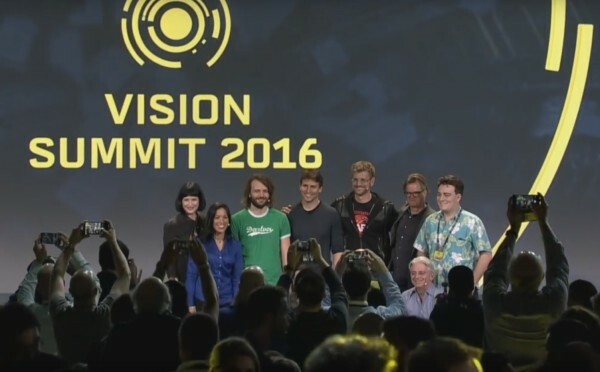 WiVR founding members Nonny de la Pena and Jacki Morie were featured prominently at Vision Summit 2016, a Unity-hosted conference dedicated to virtual and augmented reality held this month in Hollywood, California. This is the first year for the conference, which is a cross industry event for artists, engineers, programmers, designers, musicians, directors and producers, hardware manufacturers and researchers focused on furthering the knowledge base of anyone developing virtual or augmented reality content. Virtual reality pioneer Dr. Jacquelyn Morie co-founded USC’s Institute for Creative Technologies and is currently working on creating a virtual reality version of the Star Trek Holodeck for NASA. She was a member of Vision Summit’s 2016 advisory board, responsible for ensuring that the content we present is relevant and engaging to our audience, and that it represents the latest in industry news and technology. Another virtual reality pioneer, ““godmother of virtual reality” Nonny de la Peña, was the master of ceremonies for the conference. 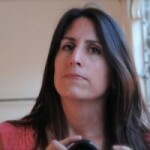 She is a well-known virtual reality documentary filmmaker. You can see some of work, such as “Gone Gitmo” and “Project Syria” at Immersive Journalism. As CEO of Emblematic Group, she uses game engine technologies to tell important stories—both fictional and news-based—that create intense, empathic engagement on the part of viewers. Other WiVR members who were involved in the conference included first round judges NextVR‘s Helen Situ and Maveron‘s Anarghya Vardhana. Several women were also on stage as presenters this week. Although the conference did not have gender parity, it is a significant improvement from the first virtual reality conference in 2014. That conference first inspired the creation of this Women in Virtual Reality group due to its lack of female representation. Conference organizers looking for female experts about virtual reality should accept no excuse for not having a diverse set of speakers. And one place they can start looking for women virtual reality experts is our own Expert Directory. Maria Korolov is the founder and president of Women in Virtual Reality and publisher and editor of Hypergrid Business, which covers enterprise uses of virtual reality. She has been a journalist for over twenty years during which time she covered civil wars in the post-breakup Soviet Union, the Web-driven transformation of the global financial industry for Computerworld, and was a business news bureau chief in China for five years as that country became a major player on the global stage.